Rudi Zygadlo (aka Golden Ratio Syrup) was on Vic Galloway’s BBC Radio Scotland show earlier this month performing live and discussing the projects he’s been working on, including Golden Ratio Syrup. Check the performances throughout the show here. And here’s another link to click in case you missed the Golden Ratio Syrup / Cut Tongues film for ‘A Screaming Comes Across the Sky’ when it premiered the end of last month. 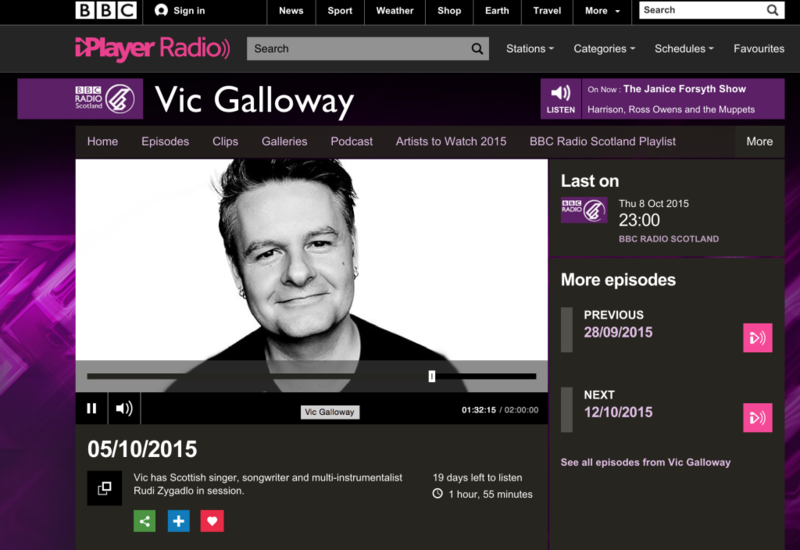 Share the post "Rudi Zygadlo (aka Golden Ratio Syrup) Live on Vic Galloway’s BBC Scotland Show"